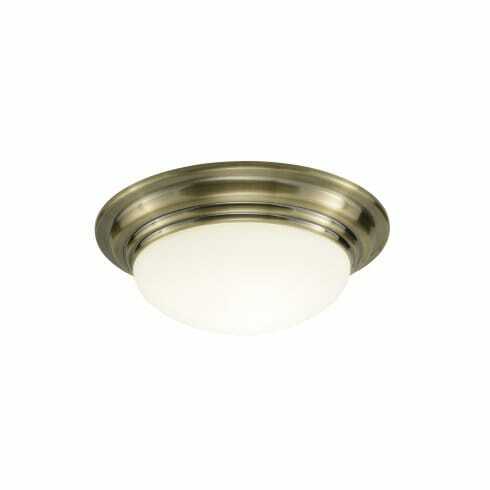 Dar Lighting Barclay single light bathroom ceiling fitting features a circular plate with ridged detail and a domed, frosted glass shade that compliments the classic, antique brass finish. The product code for this Dar ceiling fitting is BAR5275. IP44 rated for safe bathroom use in zones 1 and 2. This charming range is also available as a larger, 38cm diameter flush fitting and as single light wall fixtures. You can also order these items in a contemporary polished chrome finish. All items mentioned can be ordered direct from our website.